Not all leads are created equal. Some are ready to buy right now, some will likely be ready soon, and some are just entering the funnel. So how do you know which leads are hot and which are not? That’s easy – use lead scoring. 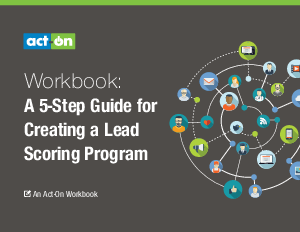 Want to create a lead scoring program of your own? Our 5-step workbook gives you everything you need to get started.